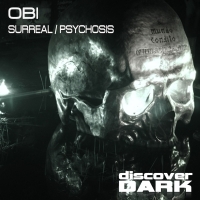 It's a huge start to the year for Discover Dark with this mammoth two tracker from Obi. Surreal starts proceedings with a thunderous ride that is punctuated with menacing vocals and twisted riffs. Psychosis does exactly what it says on the tin and is equally sinister. Discover Dark and Obi hit the ground sprinting for 2016. 'Surreal / Psychosis' is available now from Beatport and iTunes.